Today, Padua looks back on a rich history extending more than 60 years. Since 1956, the College population has grown significantly, from just a handful of boys to a total cohort of 1300 students. 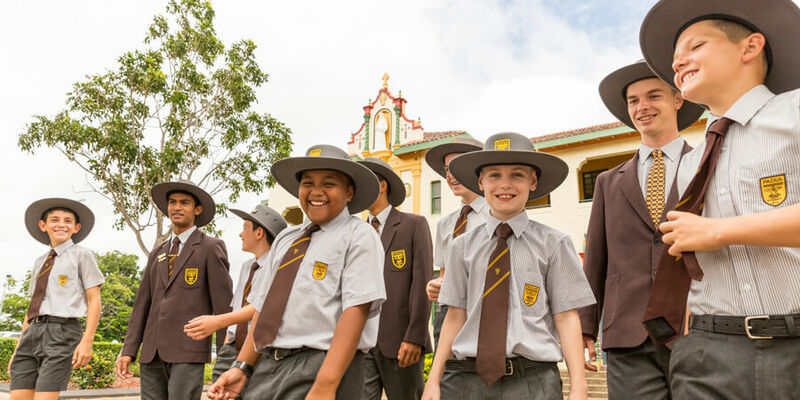 Activities are conducted over two neighbouring campuses in Turner Road, Kedron – Greccio Campus for Years 5 to 6, and Assisi Campus for Years 7 to 12. Padua College opened in 1956 when the Franciscan Friars who ran the Kedron Parish responded to a request to open a local school for boys. The Franciscan Sisters who cared for the parish primary school (St Anthony’s) were no longer able to care for the large number of boys at the school and Sister Mary Bernadette O’Callaghan O.S.F. called on the Friars to open a separate school for boys. The new school drew on rich Franciscan history to find a name – Padua, the university city in northern Italy where the first Franciscan Professor of Theology, Saint Anthony of Padua (1195-1231) died. Fr Damian Nolan O.F.M. was appointed nominal Rector of the new school which began with two lay teachers, Mrs Eileen Cameron and Mr John Fox, and 89 boys in Years 4, 5, and 6. The Friars began teaching in the school in 1957 with the arrival of Fr Alban Mitchell O.F.M., Fr Angelo O’Hagan O.F.M. and later, Fr Odoric O.F.M. Franciscan Friars continued as Rectors of Padua until 2000, when Father John Boyd-Boland O.F.M. resigned. Padua’s first lay Rector, a former Padua student Mr Robert Out, was appointed in 2001. Today, Father John continues his significant service to the Padua family as the current College Chaplain. The Franciscan Definitory continues to support the school with the appointment of Friars to the staff when they are available.